It turns out self-service was just the beginning. When we launched Qlik Sense in 2014 we didn’t tell you about everything that we had planned for it, but today I want to let you in on the secret. Put simply, it’s all about our platform and how one shared common platform that supports all business intelligenceuse cases is the key to seeing the whole story that lives in your data. Why is the platform important? When we first introduced Qlik Sense we talked about a shift from addressing guided analytics with a single product in QlikView, to a dual product strategy that included Qlik Sense to address the rapidly growing need for self-service data visualization and exploration. However, that was just the beginning as Qlik Sense Enterprise is much more than just self-service data visualization and exploration and this is where our platform based approach comes from. The market has shifted, and when we conceived Qlik Sense we had our sights on addressing the future needs our customers tell us they have for a modern BI platform. Whether it’s the shift in data centricity, where more and more data comes from outside the core data warehouse or even outside the firewall. Or it could be analysis centricity where we move from report-centric with some analysis, to analysis-centric with some reporting. Or even the shift in buyer centricity where power has shifted from centralized IT, to the business and ultimately to developers, analysts and knowledge workers. Either way, the market has moved. More users, from more diverse roles ultimately equates to more use cases. The common myth, often promoted by niche vendors, is that this shift in centricity is from one thing to the other but that is simply not true. The shift, and ultimately this is where the emergence of the modern BI platform comes from, it’s the shift to encompass all these use cases. One platform, all use cases, lower cost of ownership and better, more consistent results. How do we define platform use cases? To help explain these, my good friend Mike Tarallo has created a series of videos that explains what each one is, how they are used and who uses them to show how we address them with Qlik Sense Enterprise. The key point here is that Qlik Sense Enterprise delivers against all of the use cases and if you are a net new customer to Qlik that is exactly where I’d encourage you start. With a single platform, single UX, HTML 5 and responsive design plus shared and common data models with rich governance across all five use cases. Of course if you are just looking at building for embedded or custom use cases or you are an OEM/developer we have packaged these development capabilities under the Qlik Analytics Platform offering as well. QlikView fits into the platform as well with many common elements including the exact same engine with the release of version 12. QlikView will also be enhanced with annual releases. 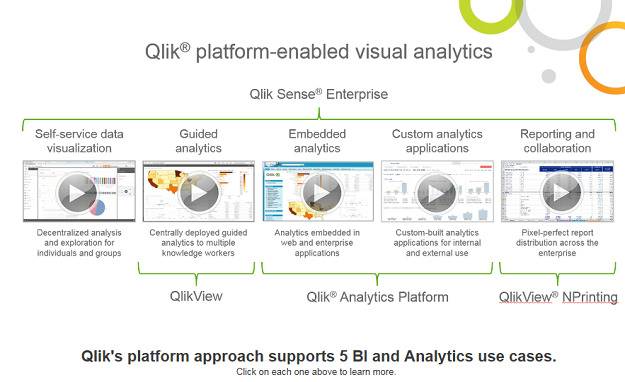 So if you have an investment in QlikView, you can continue to expand your guided analytics environment with confidence. Should you find a need to expand to other use cases you may want to consider adding Qlik Sense Enterprise. Why is our platform different? What can Qlik Sense do for you? 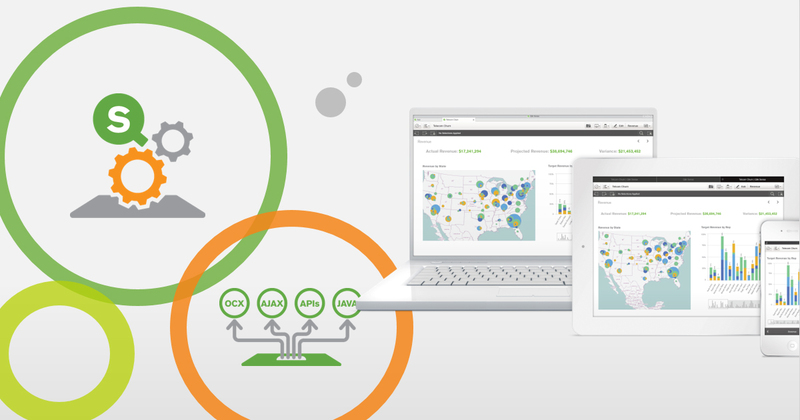 You're in luck because we have a HUGE Qlik Sense Tour happening right now! Click here to register to attend an event in a city near you.